Having designed your tailor made CCTV surveillance system, our expert team of technicians will carry out a thorough installation, ensuring optimal implementation and integration with other security measures. It is a Smart Security guarantee that only members of our staff who have passed the relevant stages of our ‘Expert’ (hyperlink) training programme will be involved in the installation process, thus realising maximum benefits from the beginning. Below are a few tips and pointers on what to be aware of before and during the installation process. Integration means that all security equipment can be managed from one station rather than all systems running separately. Safety-wise, it is extremely important that the access control system is integrated with the fire alarm system. The level of light greatly affects the image quality of CCTV monitoring and recording. A survey of your premises’ levels of light is recommended prior to installation. Avoiding backlight and using correct angles will greatly enhance the system’s performance. Lens filters and functions like WDR (Wide Dynamic Range) and infrared cameras (hyperlink to camera page) can further enhance image quality in challenging conditions. 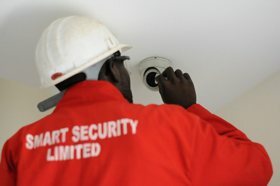 All CCTV security components provided by Smart Security will have a proven reliability and durability track record, and are tested operationally by our specialist technicians prior to installation. 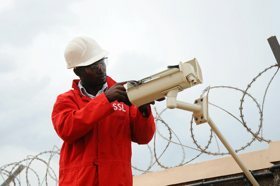 Furthermore, as no system is fail proof, we offer our customers added peace of mind with our guaranteed response promise, and a choice of outstanding maintenance and repair options (hyperlink to maintenance section in How We Work) to ensure maximum lifespan of your CCTV surveillance products.